Housepets! 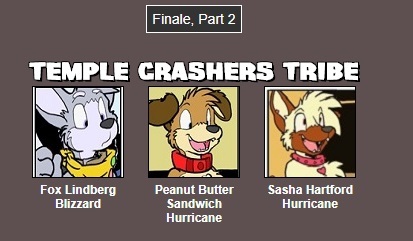 - View topic - Survivor: Housepets! 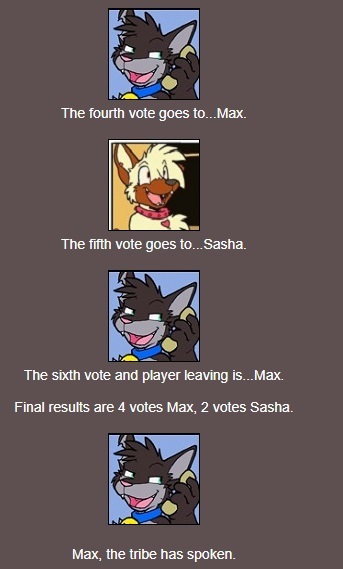 Maxwell and Sasha are on the chopping block. Looks like Max is out. 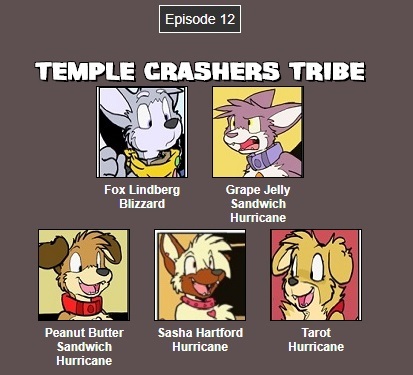 Looks like Grape and Max had a lover's agreement, but Peanut and Tarot were 110% done with Max's attitude . 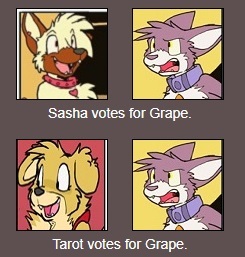 I'm actually amused Sasha didn't vote Tarot for hitting her with her computer one time. Looks like Fox has entered a winning streak. Looks like Fox is safe again. Whose it gonna be? 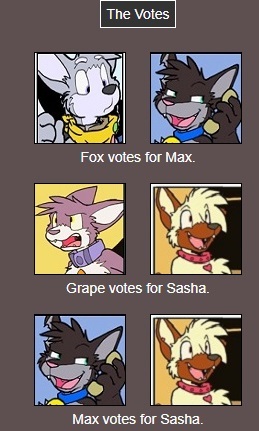 Sasha and Grape are at risk this time. Looks like Grape is out. Maybe she was seen as a bigger threat than Sasha. We've made it to the final four now. Will Fox continue his winning streak? Will Peanut ever be in the bottom? Find out next time! The Sandwiches stand together !! 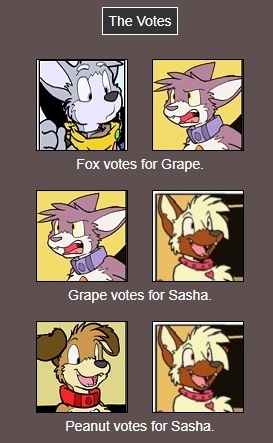 So, unless Sasha gets confused and goes wack-a-doodle and votes herself off..... GRAPE'S DOOMED !! Hmmmm ... Need to work on my timing. Last edited by D-Rock on Mon Oct 30, 2017 9:28 pm, edited 1 time in total. Mod Edit: If your own post was the most recent and little time has passed, please use the Edit button. *Chuckles* Believe me, that same thing happens to me all the time. As I gaze upon the stars, I realize how much I will miss this world. 20-8-5 19-9-24 6-9-14-7-5-18-5-4 13-9-19-6-9-20 23-9-20-8 12-15-20-19 15-6 6-21-18. 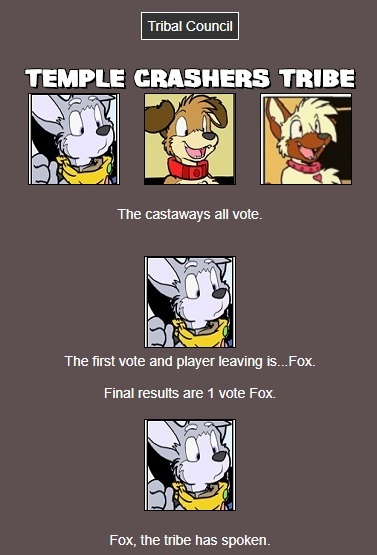 Tarot votes off Fox because he's a threat and has two Celestial girl friends. Peanut votes off Sasha because he thinks she's stressing out and worries about her. RESULT: Tarot's in the crosshairs! 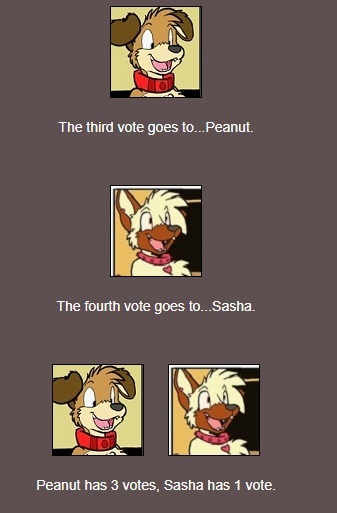 Fox, Sasha, AND Tarot vote Peanut off. 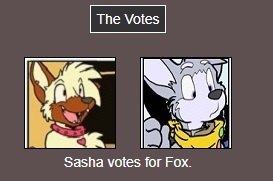 Fox and Sasha 'cause they're pals. Tarot because she's miffed about him showing her up with his new Puzzle Master Mad Hatter powers. Besides, he supported Grape, so there's that jealousy green-eyes thing, too. 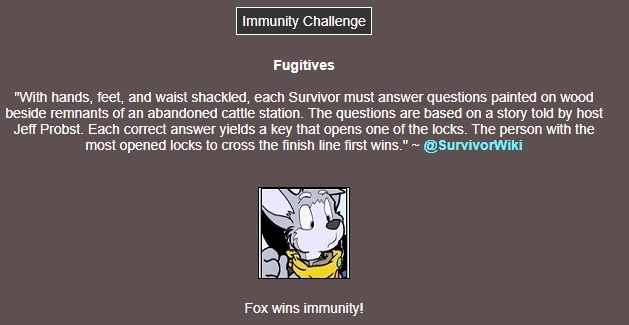 Looks like Fox has won immunity. AGAIN. Whose gonna go? 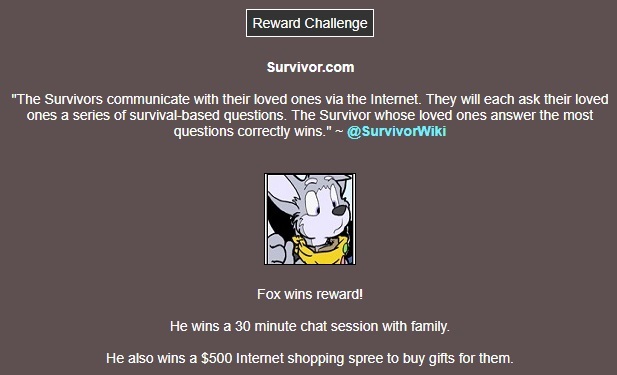 We all know that Fox will be advancing to the final 3. Question (I'm not much s Survivor viewer). 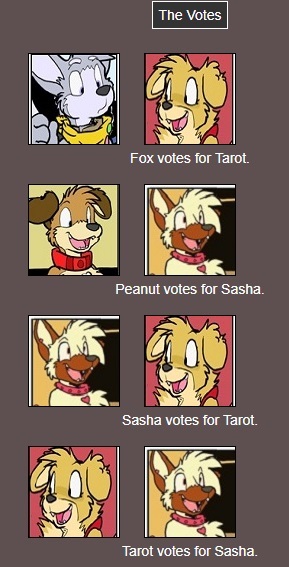 Fox has immunity - so assume Peanut and Tarot vote off Sasha. 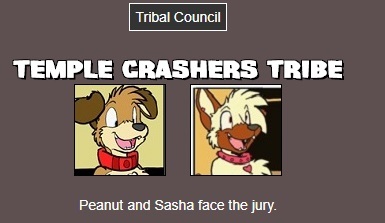 Fox and Sasha to cast two votes together...say, against Peanut. every now and then the game parallels that season eerily closely. if the pastern holds, fox, despite being in a position where he should have lost ages ago, will make it to the final, along with a female contestant that's never actually done anything useful, but never been a real threat either, she's just kinda coasted for the entire season. 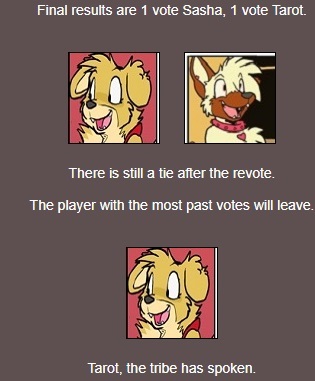 In synthesis... Peanut and Tarot are going to be voted the fish outta out. 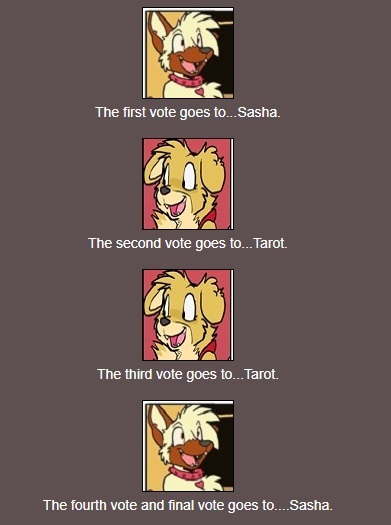 The bottom 2 are Tarot and Sasha. 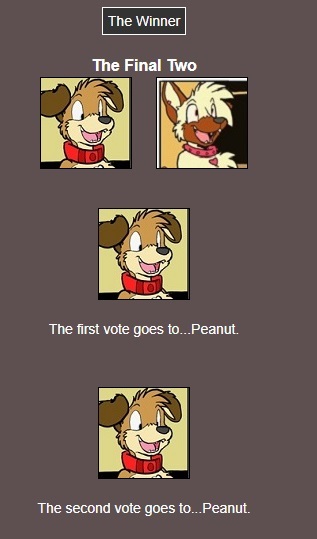 Wow, I can't believe Peanut voted his gal off the island. Maybe he didn't want to compete against her in the end. 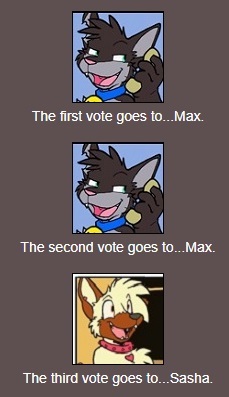 The ditzy dog did it again !! And so Tarot has been eliminated. She's probably not too shocked though as she likely foresaw when she'd go. Looks like all those past votes came back to haunt her. Thoughts on the final 3? Well, if tribe loyalty still counts for anything, Fox should go next. Ahhhhhh, yes. But treachery is the name of the game, isn't it? 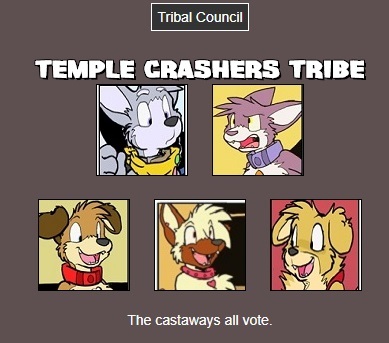 Sasha wins immunity! Which boy will be placing third and which one will join her in the finale? 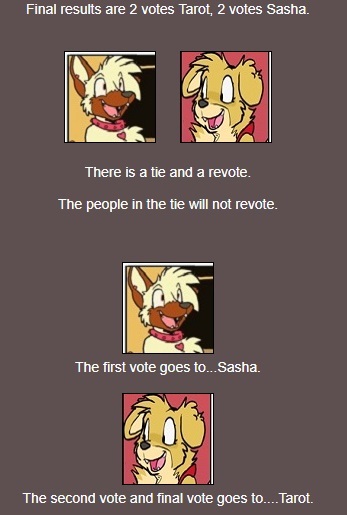 sasha forgets how the rules work and votes herself out. Bonding right before backstabbing each other. Hopefully neither of them makes an alliance with Sasha, or there could be bad blood between them after the show. Hey, Doug, please don't worry. They'll be fine. Peanut's so happy, obtuse, and big hearted, he'll knock out a Spot the Wondersdog story about the adventure, forgive everybody, and talk Grape into doing and Imaginate! play on Swiss Family Robinson. FOX is so angst-ridden, he'll try to apologize to everybody until either Sabrina smooches him and he goes into enraptured confusion, Bino p*sses him off, or King and Bailey take him to visit Rex and he thinks out on cookies. Sasha will forget, give the prizes away and ... Heck, who cares what Sasha does or says? Except for old man Hartford, everybody loves Sasha. They'll be fine. Regards. 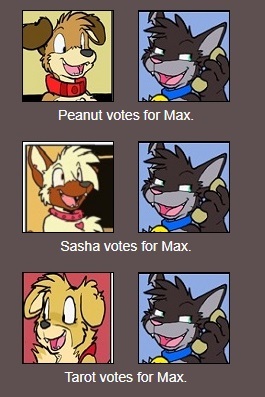 Looks like Fox has been eliminated which means Peanut will join Sasha in the final 2. So, did Sasha do the voting on this? Only two remaining..... DRUM ROLL, MAX !!! All right. Who's gonna win?